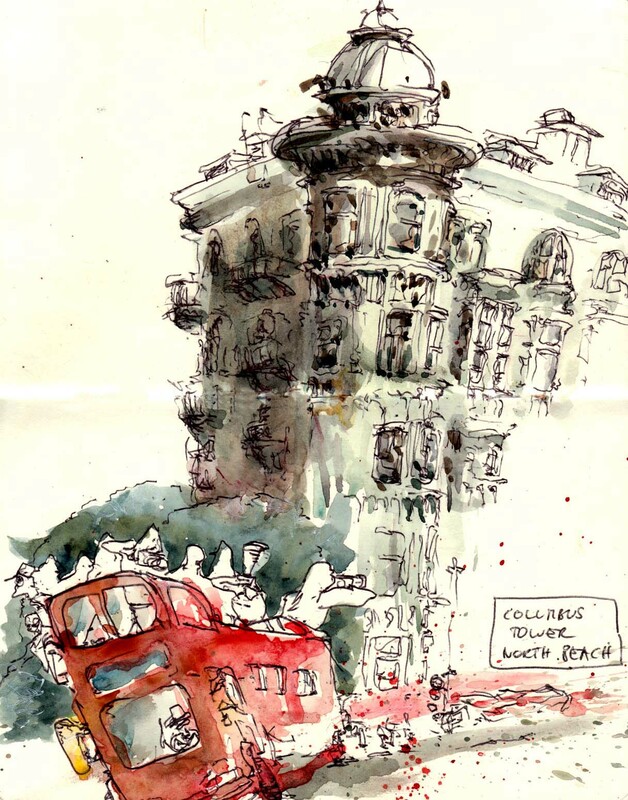 The other day ‘Hop-on, hop-off’ buses zipped by as I had a coffee opposite the Columbus Tower in North Beach. Back in the days this copper green flat iron building hosted the restaurant ‘Caesar’ where the salad of the same name was invented. Wikipedia also tells me, that it now belongs to Francis Ford Coppola. Enough factoids, here’s the drawing.